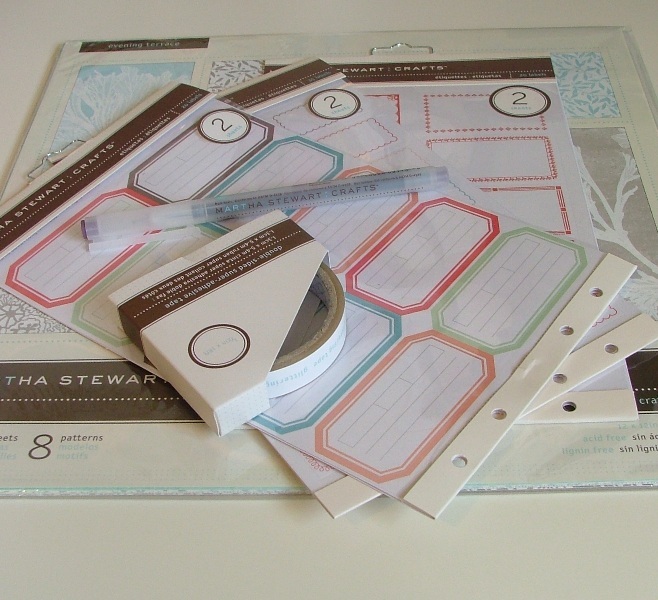 Oh how I love scrapping supplies. Especially shiny new ones just waiting to get some crafty love. I am ashamed to admit how stinkin’ happy the new Martha Stewart line made me…I entered M’s quite doubtful (I mean, perfectionism has never been a goal of mine, he he, So Ms. Martha often seems to be speaking from another planet)…and exited in raptures. The stuff is beautiful. Very Jenni Bowlin/Rebecca Sower-ish…my two favorite scrappers and my preferred scrapping style. I did quite a dent to the supply budget, but I promise to turn out wonderful eye-candy! Gigi lavished some Happy Mail love on me today…all in my favorite color…green! 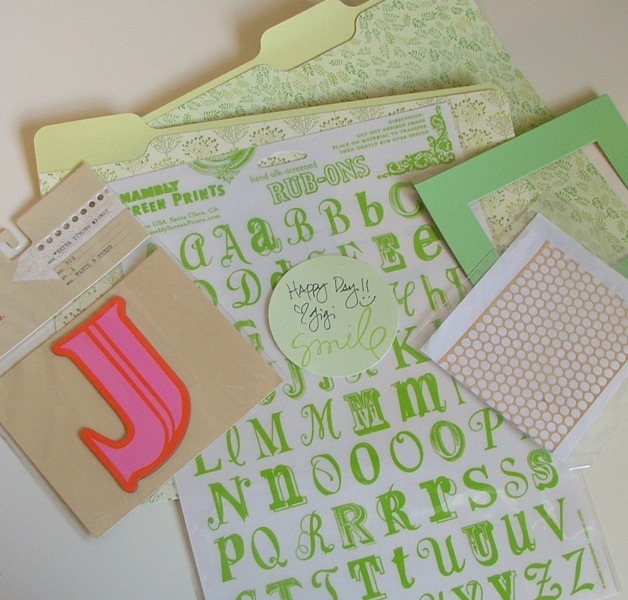 Hambly rub-ons…some adorable file folders…and my initial "J" , in a totally cute and funky magnet! I have a particularly goofy smile plastered to my face right now. 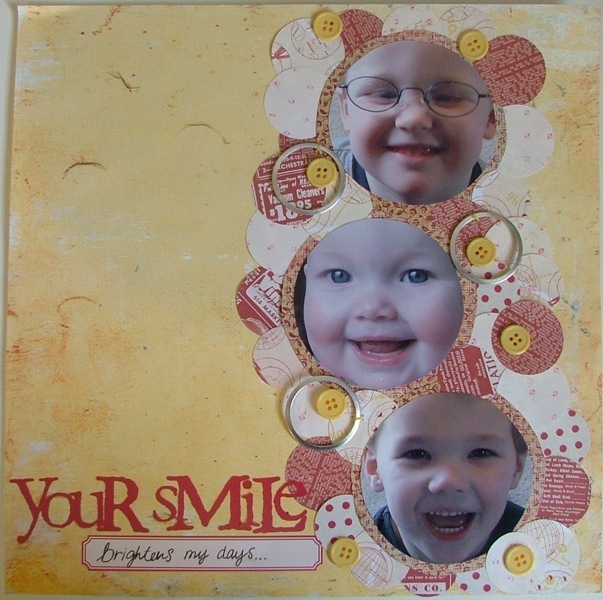 And lest you think that I never scrapbook anymore…I must prove you wrong. Both of these were for the local Scrapvivor contest, which has been great fun. Enjoy! Is that Martha’s glitter tape I see in your photo? What all do you think can be done with it? I see you plunked down the $10.99 for a paper pack, which I couldn’t quite bring myself to do. I got some of the vintage-style labels and some library pockets with cards, then went back for gel clue and a circle punch with a scalloped edge. I only hope I can stay away and not go back for more! cannot believe you got the martha stuff! btw…LOVE that smile l/o…just beautiful! LOVE that happy green mail! it made me smile! and uh, i totally dropped the dough on martha too. despite totally not wanting to like it. yikes.